Looking to further cement its position in India, South Korean tech major Samsung on Tuesday set up what it calls the world’s largest mobile experience centre, in Bengaluru, barely two months after it opened what it called the world’s biggest mobile factory, in Noida. Bengaluru’s iconic Opera House theatre on Brigade Road was given a facelift to turn it into the Samsung Opera House. 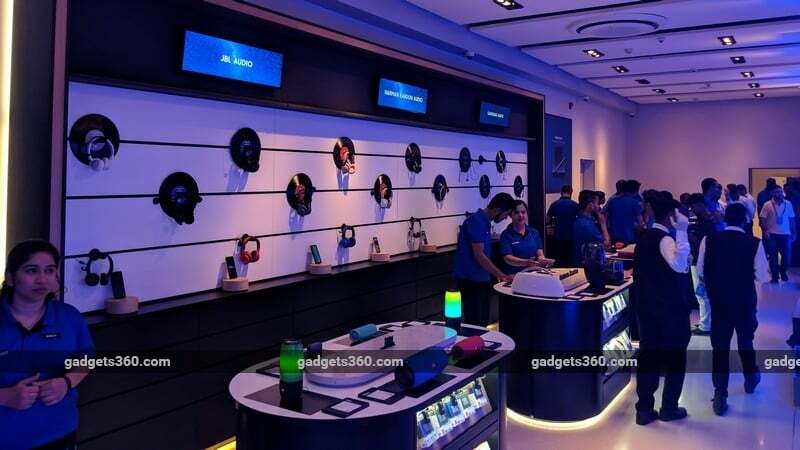 According to Mohandeep Singh, Senior Vice President, Mobile Business, Samsung India, the tech major is looking to become a part of the larger community in Bengaluru and this (experience centre) is an extension of the firm’s “Make for India” endeavour. “We are looking at more number of such experience centres in the country. We are looking at covering all the big cities in India over a period of time with such centres,” Singh told IANS. Around 10 cities is the target, but the company hasn’t prioritised cities yet, Gadgets 360 was informed at the launch event. The company also said that it was evaluating the demand for Bixby, its virtual assistant, in regional languages – and will make efforts on this front if there is sufficient demand. However, he did not mention a timeline for the launch of other such centres in India. The centre would offer Virtual Reality (VR), Artificial Intelligence (AI), and Internet of Things (IoT)experiences and for the first time in India, enthusiasts would be able to enjoy VR experiences such as the 4D Sway Chair or the Whiplash Pulsar 4D chair that makes 360-degree three-dimensional movements. 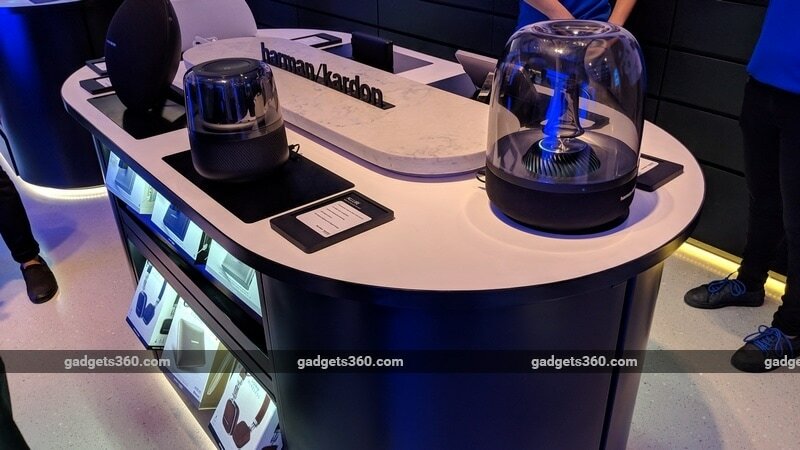 The tech giant would also showcase its full line-up of smartphones and wearable devices at the experience centre along with flagship consumer electronics products such as the QLED TV, Smart TVs, The Frame, and Family Hub refrigerators. The centre would also house a home appliance zone which would have a kitchen set-up where a chef would give live cooking demonstrations using Samsung smart ovens. Also, this would be the biggest-ever display of Samsung accessories such as cases, covers and power banks at the Samsung Opera House wherein prospective buyers would be offered customisation options for accessories. “They would be given choices such as installation of military strength skins for screen protection and 360-degree body protection (for phones). They can also get laser engraving done of any design or content on the mobile covers they choose,” the company added. “Samsung Opera House” would also house a range of Harman Kardon, JBL and Samsung audio products. In June last year, the South Korean tech major announced a Rs. 4,915-crore investment to expand its Noida plant and, after a year, the new facility is ready to double production. The company is currently making 67 million smartphones in the country and with the new plant being functional, it is expected to manufacture nearly 120 million mobile phones. Samsung dominated the premium smartphone segment in India in the first half of 2018 with 48 per cent market share, a report from CyberMedia Research (CMR) said on 17 August.